One of the most important parts of the concert experience is gazing through over the expanse of sweat, friction and alternate states and wondering if you were too old to be there in the first place. 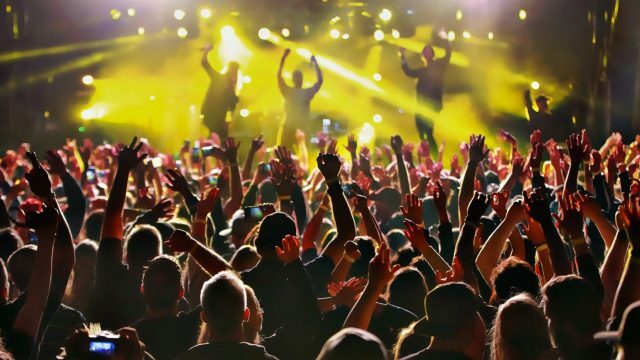 However, one new study believes that regular concert attendance can make one live forever. That, or tack on nine years the finite time we’re doled out by the cosmos. Which is a great name for a band. Allow me to momentarily contort my face in suspicion. One of the forces behind the aforementioned study was O2, the goliath ticketing, entertainment and music people, which steps it slightly toward being a conflict of interest. With that being said, an earlier study from Deakin University in 2010 ostensibly said the same thing. So. Should we consider the findings confirmed? Maybe. But probably we shouldn’t think too much about it, square. Although, on a personal note, it’s a yeah, ok from me, as we do tend to cling onto those golden festival moments, and especially when our world is grey and organised, we reach to those memories kept under amber and MDMA and still feel like they meant something. I mean how else can I define that moment I can’t let go of, searching for the continued meaning of 21,000 people singing DJ Otzi’s Hey Baby over a dusty hill under the blanket of darkness and interpersonal light?